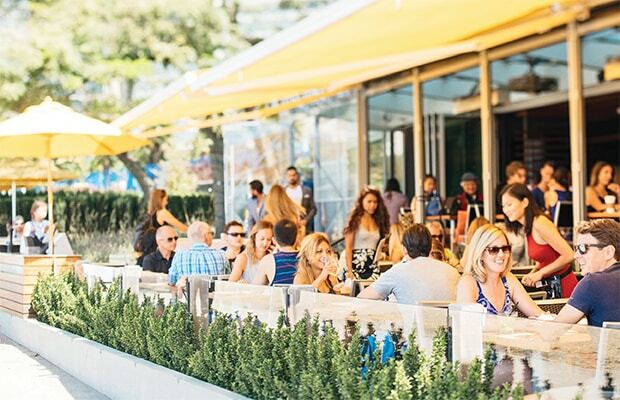 There’s a bevvy of reasons to visit Cactus this summer. We figured we’d conveniently highlight seven – versus making you read the never-ending list. Besides, reading takes away from eating and drinking. And that seems wrong. So good, you’ll think you’ve died and gone to Mexico. And sure we may be biased here, but our tacos are pretty darn magical. The tortillas are hand-made and hand-pressed to exact specifications. And we’re not even pulling your leg. What we do pull is our chicken, which we also braise in-house as part of our mouthwatering 3-hour cooking process. If you’re more of a fish taco person, your palate will be pleased to know that our Ocean Wise cod is battered in-house, using Granville Island Pale Ale beer. And by beer, we mean cerveza. The Tuna Stack has been a Cactus favourite from the moment we pulled it out of the ocean and wiggled it onto our menu. It combines the freshest tuna ever, along with sweet addictive oranges, tamari glaze and crunchy gyoza chips. One taste and you may forget all about your favourite sushi spot. We’re not even joking. Although it can be a challenging dish to phonetically order, ceviche [suh-vee-chey] is not only for the linguist. If you love flavours rolling off your tongue, you need to give our ceviche a taste. Inspired by Rob Feenie’s travels to Peru, this time-honoured dish combines Asian and South American flavours in a way that’ll leave you wanting mmmmore. Just ask for it by name. Good luck with that. *Available at our British Columbia and Ontario locations. Frosé is the grown-up slushy drink of the summer, and we are here to provide. It’s been a gruelling task to develop, taste, tweak, taste, refine, taste and unveil this gorgeous cocktail, but we think we nailed it. Made with rosé, strawberries, elderflower, vodka and lemon. Frosé is available for a limited time, so hurry down to one of our patios and rosé the day away! Not to be confused with the Winter Wobbler, our Summer Smash is a refreshing beverage that makes the perfect complement to a bright, sunny-ray day. Crafted with Gordon’s dry gin, cucumber, thai basil and ginger, this garden-fresh patio sipper quenches and chills and warms – with pleasing herbal notes of herbaceous spiciness. Contradictions have never been more refreshing. If you lust beer, this paragraph was crafted for you. Same goes if the idea of sessionable blonde ale with lively tropical notes of passion fruit and pineapple makes your whistle wetter. So why not pay us a visit? The thirstier you arrive, the more refreshed you’ll feel.